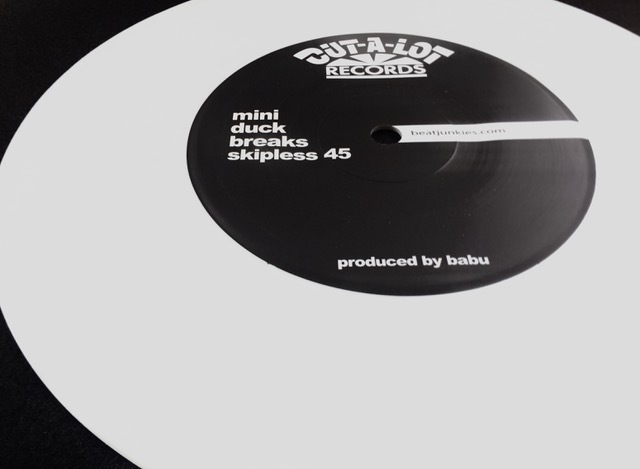 The Classic Battle Break record SUPER DUCK BREAKS now converted to a Skipless Scratch Tool on 7″ Vinyl Record. 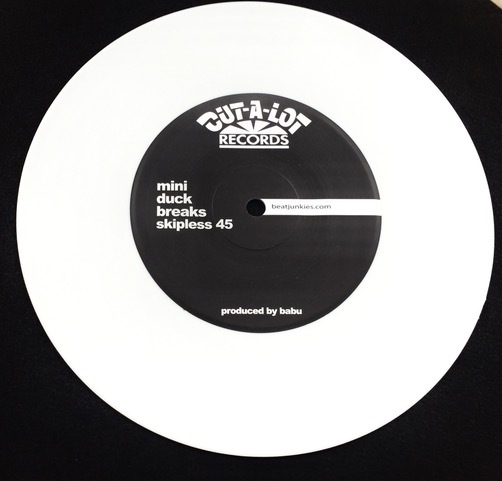 Pressed on thin WHITE Vinyl Made in Japan / 6 Skipless Scratch Sentences on each side. 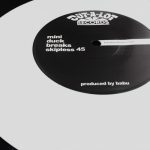 Total of 12 Skipless Scratch Sentences.